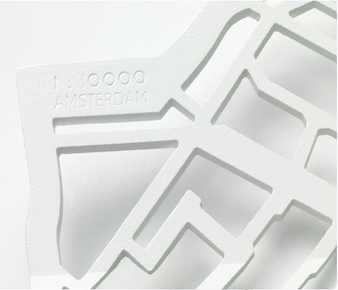 The characteristic shape of Amsterdam's city center as a poured and matt-finished aluminium bowl in Light grey, Dark grey or White finish. The canal ring shown at a scale of 1:10.000. That's the Metrobowl from Frederik Roijé, who describes it himself as : “A design from the city I love”. In the same series of bowls: New York (Manhattan). A stunning aluminium bowl formed from the characteristic layout of Amsterdam's city centre and canal ring. This fruit bowl designed by Frederik Roijé in 2010 is to scale. And to a scale of 1:10000, so that one centimetre of bowl represents 100 meters of Amsterdam. The bowl is made of poured aluminium that is given a light matt finish in a Lightgrey, Darkgrey or White finish once it has hardened. The Metrobowls are made and finished in Holland. 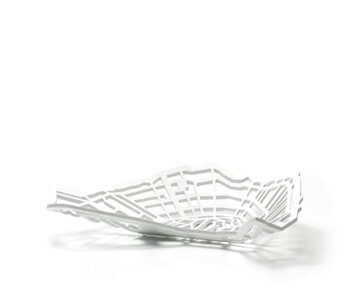 The Metrobowl is an attractive piece, but also has a practical use as a bread basket or fruit bowl. World cities are a rich source of inspiration for designers. 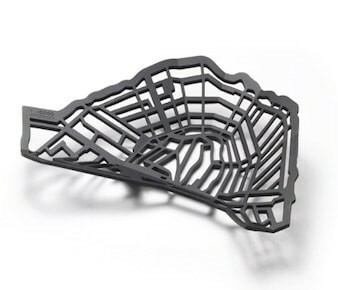 Characteristic street maps form the basis for Frederik Roijé's Metrobowls. 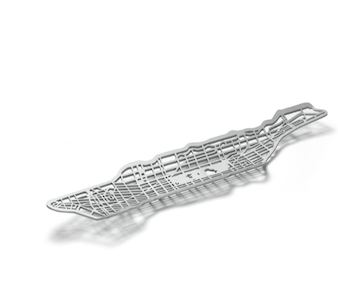 Up to now, Frederik Roijé has designed Metrobowls featuring two appealing and clearly recognizable city maps: Amsterdam and New York (New Amsterdam). The metrobowl New York is not a standard article in our shop. 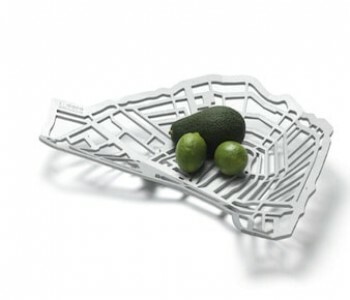 If you like to order the metrobowl New York, please sent a mail to customerservice@hollanddesignandgifts.nl.